Adam Lanza used this Bushmaster AR-15, model XM15-E2S, to kill students and teachers at Sandy Hook Elementary School in 2012. Parents of 9 children killed at the mass shooting in Sandy Hook Elementary School, along with one teacher who survived, are suing the businesses behind the Bushmaster rifle, which was used in the massacre. The lawsuit was filed one day after the second anniversary of the killings. Koskoff, Koskoff & Bieder, the law firm that is representing the families, announced Monday that it has filed suit against Camfour, a gun distributor, and Riverview Gun Sales, as well as the Freedom Group, the company that owns Bushmaster. The wrongful death lawsuit, filed in Superior Court in Bridgeport, Conn., pointed out that the numerous lives were lost in just 264 seconds and was possible because of the shooter's weapon of choice: The Bushmaster AR-15 rifle. The rifle, which was used to kill 20 first-grade students and six adults in Newtown on December 14, 2012, should not have been entrusted to the general public because it is a military assault weapon that is unsuited for civilian use, according to the lawsuit. "The AR-15 rifle, designed as a lightweight but fearsome combat weapon for troops in Vietnam, can expel 30 bullets in a matter of seconds, each of which is capable of piercing body armor and causing catastrophic injury," the suit claims. "It has no place among Americans' handguns and hunting rifles." Adam Lanza, the killer, was mentally unstable and used his mother's Bushmaster to kill her before he went on the rampage at the school, and then killed himself. "The risk of a mentally unstable individual gaining access to an assault rifle and unleashing its military firepower on innocent civilians is not theoretical for Bushmaster. It's a fact," said Katie Mesner-Hage, of Koskoff, Koskoff & Bieder, in the press release. 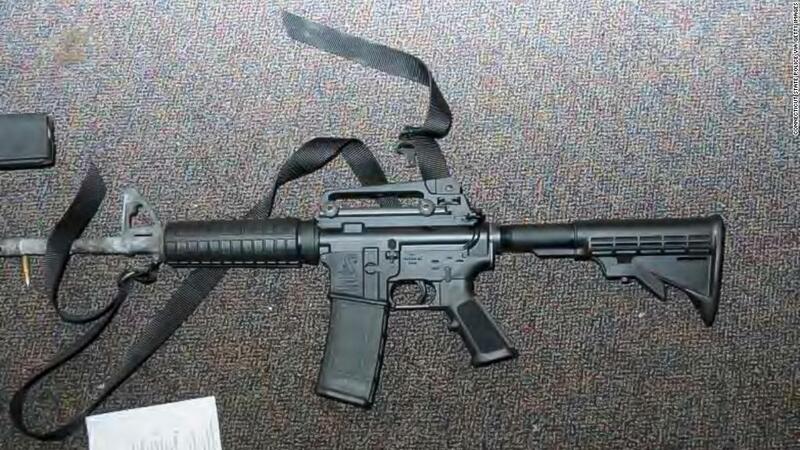 The law firm said the Bushmaster used in the Sandy Hook killings was purchased at Riverview, in East Windsor, in 2010. The owner of Riverview was not immediately available to comment and phone messages to the Freedom Group and Camfour were not immediately returned. The Riverview web site currently lists the Bushmaster, and other assault rifles, for sale.